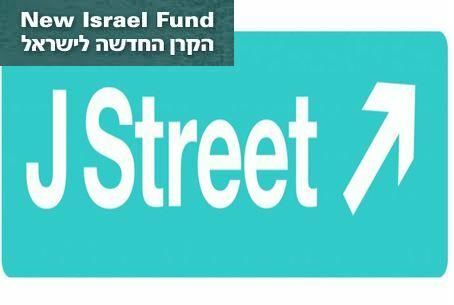 J Street comes to Israel this week, claiming to be pro-Israel. The author thinks otherwise and brings evidence to back his claims. J Street has dispatched a delegation this week to Jerusalem, to meet with Israeli officials, presenting itself as a “pro-Israel”and “pro peace”. The reality is that J Street plays a critical role as part and parcel of the Anti Israel lobby in Washington DC – Indeed, instead of expressing shock or apprehension over the new terror alliance that Abbas has now formed with Hamas, J Street’s delegation is set to congratulate Abbas for the accord with Hamas. The J Street April 29 2011 press release goes so far as to say that “preliminary agreement on political reconciliation between Fatah and Hamas poses one of the most important challenges in years to those who hope to see a peaceful two-state resolution to the Israeli-Palestinian conflict”. J Street has announced that two Israeli leaders agreed to meet with their delegation: President Shimon Peres and Deputy Minister Dan Meridor. The question remains: Will Peres and Meridor raise the following 16 crucial issues with the J Street delegation? 1. J Street’s political action committee receives funds from The Saudi Arabian embassy’s attorney. Nancy Dutton. 2. J Street adamantly denied that that J Street received funds from the Israel- loathing George Soros and then finally admitted that it.received the funds. 3. J Street joined with the pro-Iranian lobby, the National Iranian American Council (NIAC), to oppose congressional efforts to impose sanctions on Iran. Ben-Ami and NIAC director Trita Parsi co-authored an anti-sanctions article titled “How Diplomacy Can Work with Iran” in Huffington Post in June 2009. At the Knesset, J Street Director Ben Ami lied and said that J Street had never opposed sanctions against Iran. 4. J Street received large contributions from one of NIAC’s directors, Genevieve Lynch of New York. She serves on J Street’s Finance Committee, and her J Street PAC contributions exceed $10,000 per year. 5. J Street’s PAC received tens of thousands of dollars from one of the leaders of the Arab American community, Richard Abdoo. J Street’s relationship with the Arab American Institute is very tight. 6. J Street PAC repeatedly took contributions from a Turkish American, Mehmet Celebi of Chicago. The Hillary Clinton presidential campaign dropped Celebi in 2008 when they discovered he helped produce Valley of the Wolves, a viciously anti-American and anti-Semitic Turkish film. 8. J Street’s visit to Israel in February 2010 was cosponsored by an anti Israel group called Churches for Peace in the Middle East, an organization which supports the boycott, divestment, sanctions (BDS) efforts against Israel. 9. Morton Halperin, one of five directors of J Street. was the author of a letter to members of US Congress written on behalf of Richard Goldstone, defending the Goldstone Report critical of Israel’s conduct in its war against Hamas in Gaza. 11. Anti Israel Career U.S. Arabists are attracted to J Street, sitting on its advisory board or contributing to J Street’s PAC. These include Ray Close, contributor to the J Street. former CIA station chief in Saudi Arabia and then advisor to the head of Saudi intelligence; Lewis Elbinger, contributor to the J Street PAC a State Department foreign service officer who had been stationed in Saudi Arabia but now serves as deputy political advisor seconded to Gen. David Petraeus at CENTCOM; Nicole Shampaine, contributor to J street PAC director of the State Department’s Office for Egypt and the Levant; Amb. Ted Kattouf, members of the J Street Advisory Board, former ambassador to Syria and the United Arab Emirates; Ambassador Robert Pelletreau,member of the J Street Advisory Board. former ambassador to Egypt, Tunisia and Bahrain; and Ambassador Philip Wilcox, member of the J Street Advisory Board, former U.S. consul general in Jerusalem and president of the Foundation for Middle East Peace. 12. Daniel Levy, Ben-Ami’s partner in the formation of J Street, and he sits on J Street’s advisory board. At a recent conference in Abu Dhabi, Levy stated “the creation of Israel” was “an act that was wrong.” J Street quickly came to Levy’s defense, claiming the statement was taken out of context, but a video of the meeting shows that the transcript was correct. Levy was also a defender of the Goldstone Report on Israel’s operation in Gaza in 2009. 13. J Street lobbied against a US veto at the UN of an anti Israel resolution at the UN Security Council. 14. J Street welcomed BDS lobbyists to its national conference, where BDS ran a session on boycott of Israeli products. 15. In January, J Street in Jerusalem held a special meeting to honor Israeli soldiers who refused to obey orders. 16. In March, J Street lobbied the US Congress against a resolution that condemned the blatant incitement in Palestinian school books and Palestinian media, while J Street refuses comment on the curriculum of the PA which openly promotes the violent struggle to liberate all of Palestine. For film on J Street, click here. Lenny Ben-David, former senior Israeli diplomat in Washington, helped research this article.